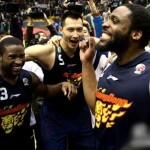 Beijing is again king of Chinese basketball. 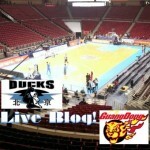 The Ducks beat the Xinjiang Flying Tigers 98-88 tonight in Urumqi, clinching the CBA championship 4 games to 2. Stephon Marbury and Randolph Morris, who played so shockingly poorly in Game 5 in Beijing that I heard more than one person say they threw the game (14 points each, combined 7 for 38 from the field), redeemed themselves by scoring 28 and 30 points, respectively. Dispatches From Xinjiang: Who Are The Guang Hui Flying Tigers Of Xinjiang? 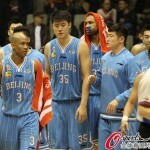 The Xinjiang Guang Hui Flying Tigers are flying high. 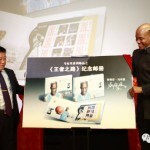 Riding the phenomenal success of their imported stars, Americans Lester Hudson and James Singleton and a Taiwanese player named Yang Jinmin, the support of China national team players such as the Uyghur point guard Shiralijan (Xi-re-li-jiang) and the Han center Tang Zhengdong, they're back in the Chinese Basketball Association finals for the fourth time in six years -- but the first since 2011, when Quicy Douby took them within two wins of a championship. 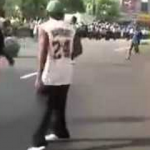 Believe it or not, a 37-year-old point guard from Coney Island, New York who played 13 years in the NBA is putting the city of Beijing on his back. With one CBA championship on his resume -- and a statue outside MasterCard Center -- Stephon Marbury already is a Chinese basketball living legend. So what happens if he wins another, all while averaging 28 points per game this postseason on a bum knee? 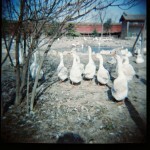 The professional basketball team in Beijing is called the Ducks, but I don't see why. 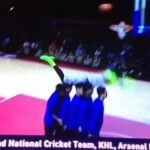 It should be the Beijing Stephon Marburies. 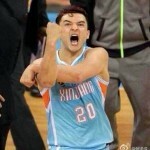 There is no player more valuable to his team -- not Yi Jianlian for Guangdong, not Doug McDermott for Creighton, not even LeBron James for Miami -- than Marbury is to Beijing, and if you needed any proof, just fire up last night's decisive Game 5 of the CBA semifinals, which saw the Ducks beat the Guangdong Southern Tigers 110-102 in Dongguan. Nick Bedard of Basketball Buddha is courtside on press row at MasterCard Center, aka Wukesong, for tonight's Game 4 clash between the Beijing Ducks (23-11 regular season, No. 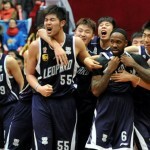 4 in standings) and Guangdong Southern Tigers (30-4, No. 1). 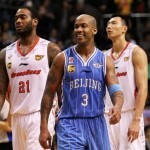 Thanks to an epic performance from Stephen Marbury on Saturday in an overtime win, Beijing currently has a 2 games to 1 lead in this best three-out-of-five series. We now join our regularly scheduled Bedard in progress. 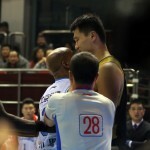 Stephon Marbury may have turned in his finest CBA performance -- and it came against the best team in the league, the defending CBA champion Guangdong Southern Tigers. With his head bandaged for the last four minutes of the fourth quarter and through overtime -- the result of a gash sustained during one of his trademark drives to the basket -- the 37-year-old finished Saturday night with 43 points on 13-for-20 shooting (including 4-for-8 from behind the arc). 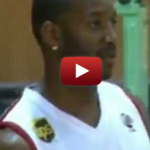 After sitting out more than two months with an injury and missing 22 games, Beijing Ducks superstar point guard Stephon Marbury returned to the court last night against the Shandong Flaming Bulls in his team's first game of the new lunar year. 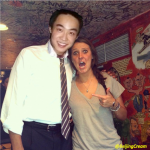 It was an eventful night, to say the very least. 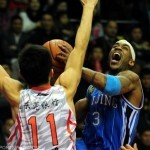 Last night, the Dongguan Leopards beat the Sichuan Blue Whales 137-135 in Wenjiang District Stadium in Chengdu, but to say "Dongguan" won is really to diminish the efforts of one individual, Bobby Brown, who took half of his team's 104 shots and made exactly half of them to finish with 74 points. He also led his team with 10 rebounds and 4 assists. Bobby Brown earned his post-game star. The CBA is back, and thank goodness. As featured on Deadspin, here's Ivan Johnson, 29, doing a celebratory dance that in the NBA would have set him back 15 grand, because no one in corporate appreciates the Big Balls Dance. This was ugly. 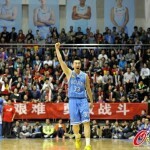 The Sichuan Blue Whales, playing its first CBA game in 15 years, having just been promoted from the second-tier National Basketball League in September, lost by 53 points on Friday. 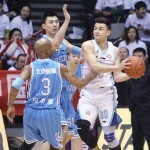 The previous CBA record for most lopsided season-opener was a mere 40 points, nearly 25 percent less than Sichuan's deficit. 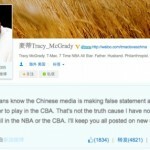 Tracy McGrady appears to be unhappy with reports in Chinese media -- from late-August, it seems -- that his asking price to play in the Chinese Basketball Association this season was $2 million. On Sunday, the 25-member Chinese Basketball Association committee unanimously approved the league's newest team, the Sichuan Blue Whales, who will begin play this fall. 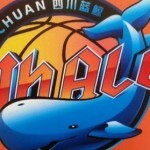 Last year the Whales competed in the National Basketball League, China's second-tier basketball association, and finished fourth with a 12-6 record. 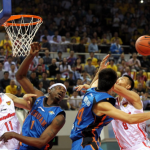 Order was restored to the Chinese Basketball Association last night as the Guangdong Southern Tigers, winners of the CBA finals in 2011, 2010, 2009, 2008, 2006, 2005, and 2004, beat Liaoning on the road, 94-74, to complete a four-game sweep. By "order" we mean devastating lack of parity, the type that makes one wonder: is Guangdong actually any good, or is every other team really supremely that bad? 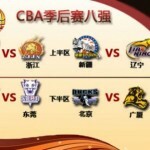 Your 2013 CBA Playoffs Preview: Can The Beijing Ducks Repeat As Champs? The Chinese Basketball Association playoffs got underway Wednesday, and to discuss the teams and break down the matchups, we’ve invited the foremost English-speaking CBA expert, Jon Pastuszek, who runs the excellent NiuBBall. Our questions to him are in bold.